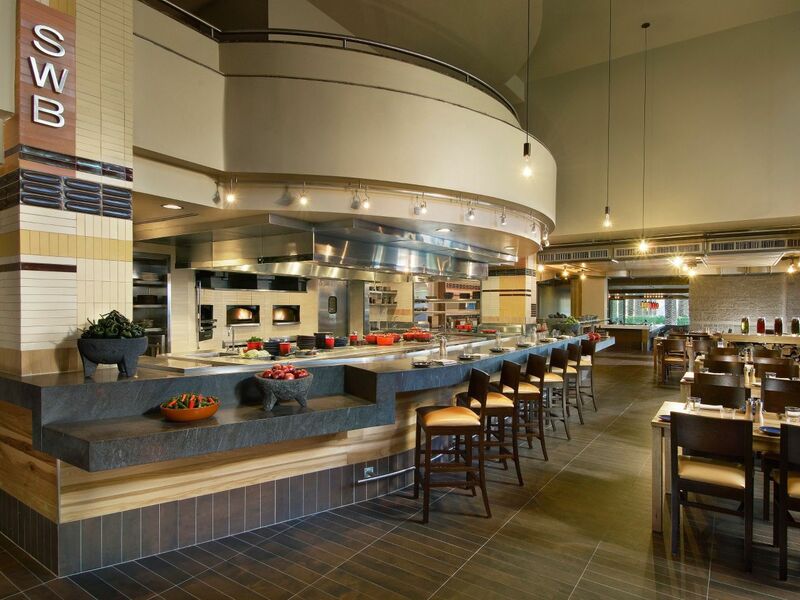 Experience some of the most eclectic Scottsdale dining spots at the Hyatt Regency Scottsdale Resort & Spa at Gainey Ranch. Take a culinary journey with Chef Juan and his staff, deep into the heart of fresh, authentic Southwestern flavors at SWB. Enjoy unique Japanese dishes with a contemporary twist at Noh. 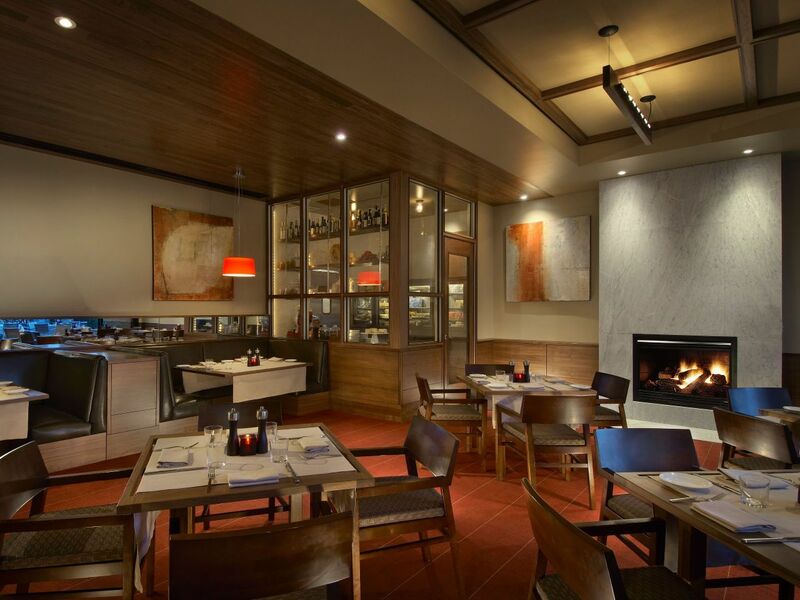 And dine at one of the top Italian restaurants in Scottsdale at Alto ristorante e bar. Wind down your day with live music and a glass of wine at Center Stage Bar or experience the quintessential handcrafted cocktail made from freshly squeezed juices at Cantina Due. Self-parking is provided on a complimentary basis for up to 3 hours, with validation, for restaurant guests. 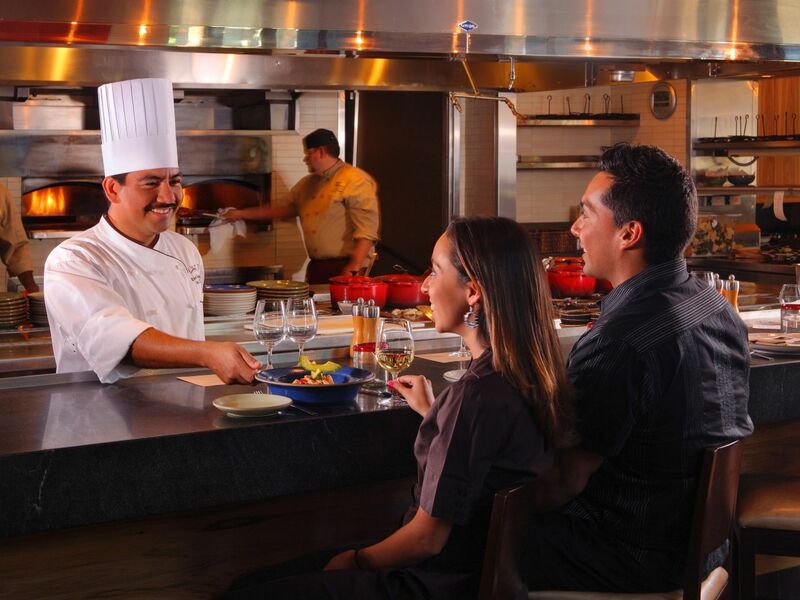 This is a culinary journey with Chef Juan and his culinary staff, who will take you deep into the heart of fresh, authentic Southwestern flavors. He will custom prepare a four-course menu for you complete with tequila and wine pairings. It is a wonderfully fun experience where you can see, smell and taste some of the things that make our southwest cuisine so unique and memorable. 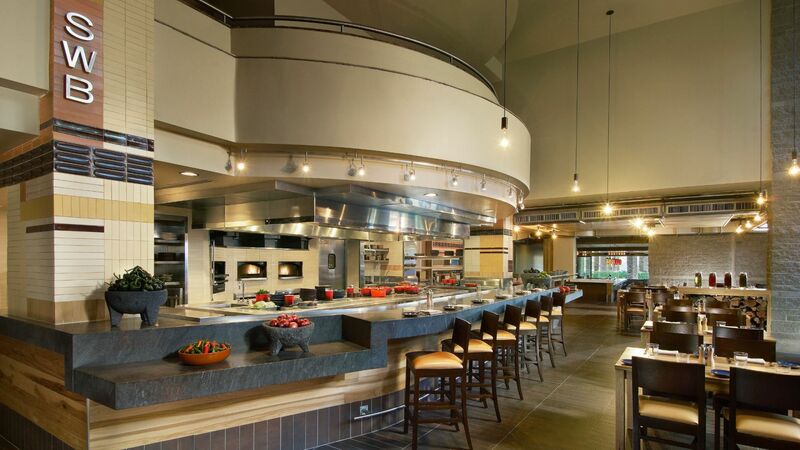 Set against the majestic McDowell Mountains, SWB crafts creative Southwest cuisine in wood-fired ovens. Enjoy the delicious aromas and inviting atmosphere created by the open kitchen as our celebrated chefs prepare breakfast, lunch, dinner and weekend brunch creations. Cross over the bridge and through a courtyard to find the vibrant, welcoming setting of Alto Ristorante e bar. Alto ristorante e bar at Hyatt Regency Scottsdale has been honored by Wine Spectator for its excellent and unique wine program. As one of the top Italian restaurants in Scottsdale, AZ, we serve fresh and flavorful dishes with an emphasis on “the season.” In the Formaggio & Salumi Cellar, Alto’s unique collection of Italy’s best artisanal cheeses and meats are complemented by the extensive selection of wines. Enjoy dinner indoors or alfresco on the terrace around our fire pits, where you’ll experience a convivial and romantic atmosphere. Top off your evening with a discounted gondola ride along the resort's waterways, complete with singing gondoliers. Join us monthly for an unforgettable evening of expertly paired wines with courses created by our chefs. View upcoming dinners here. Cascading fountains and glowing fireplaces invite you to experience the indoor/ outdoor allure of Center Stage Bar. Enjoy live musical expressions in an array of styles, from soulful vocals and urban acoustic to edgy folk. Entertainment nightly. Each month, the best local music that you are probably not hearing is brought to our stage. View upcoming dates here. 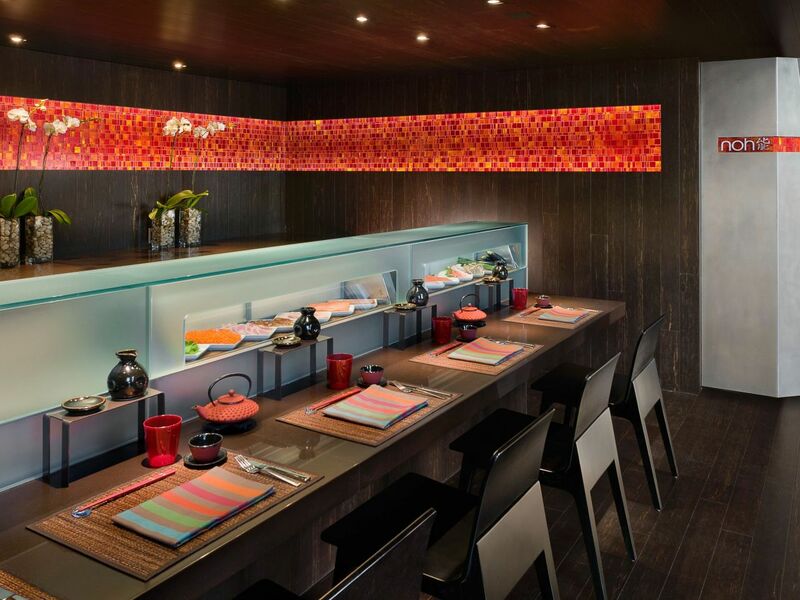 Serving a theatre of Japanese cuisine…sushi, sashimi and traditional Japanese dishes with a contemporary twist. Canyon Market is a 24 hour market and hiking lifestyle store that embraces the Sonoran outdoors. Stop by for directions to the best hiking locations around the Valley. Purchase performance food and gear essential to an active lifestyle, or simply visit to enjoy a cup of Starbucks coffee and a freshly- baked muffin. Throughout the afternoon and evening, sandwiches, wraps, salads, daily organic offerings, pastries and homemade ice cream are available for an easy “grab and Go” option. There is even complimentary Wi-fi. Conveniently located in Entry Court. We are proud to introduce, Squeeze, a new feature in Canyon Market! Whether looking for a refreshing, rejuvenating, or detoxifying combination, our juice specialty drinks are sure to hit the spot! All of our juices are freshly juiced on premise to ensure nutrient content and the freshest of flavors. In addition, our Smoothie selections offer delicious options for pre and post workouts, nourishing meal replacements or simply a delicious fruity treat. 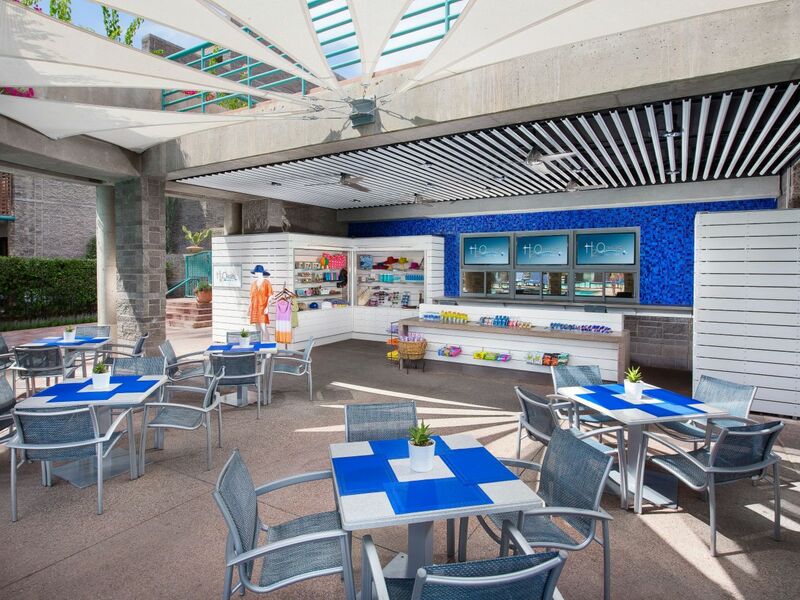 Discover our resort’s best kept secret; Cantina Due. 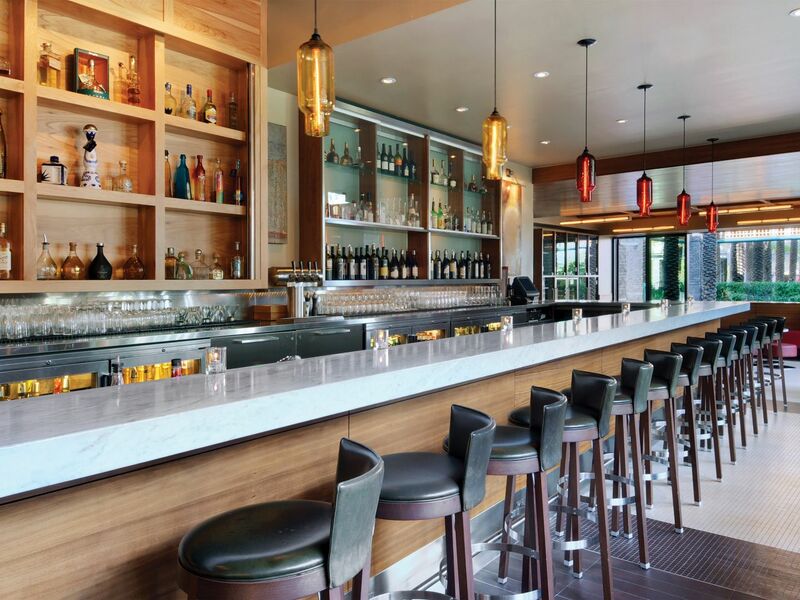 Half-way between SWB, a Southwest bistro, and Alto ristorante e bar, this lively Scottsdale bar is nestled between the two restaurants. Here, you can experience the quintessential handcrafted cocktail made from freshly squeezed juices, artisan syrups and only natural and organic ingredients. Where the two restaurants collide, so do their menus! For only in Cantina Due can you relax and enjoy an open-air terrace while dining from the best of both worlds; SWB and Alto ristorante e bar. From 4:00 PM - 6:00 PM, Monday - Friday, Cantina Due features Happy Hour Arizona-style. From appetizers to beer, wine and specialty cocktails, all are regionally inspired, locally and regionally sourced and feature ingredients that reflect Cantina Due’s commitment to Arizona, its communities and its people. 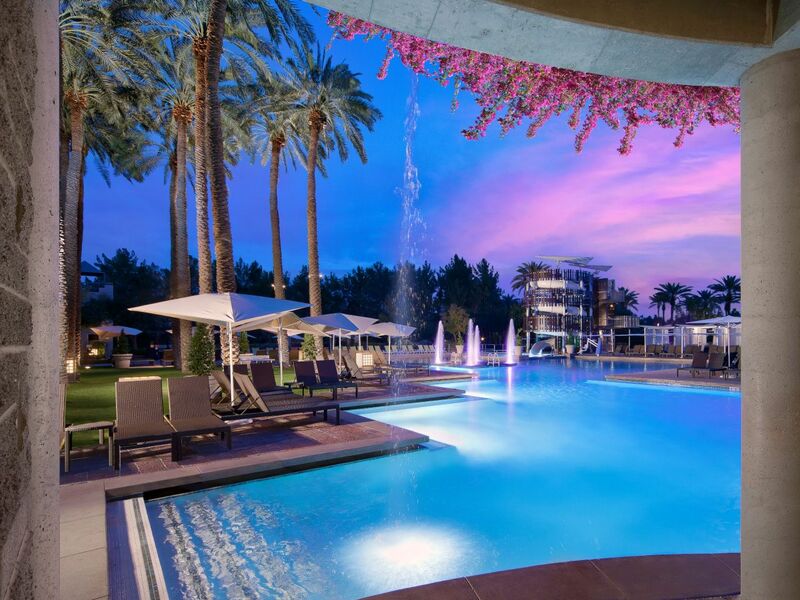 Enjoy your favorite foods and libations served poolside. 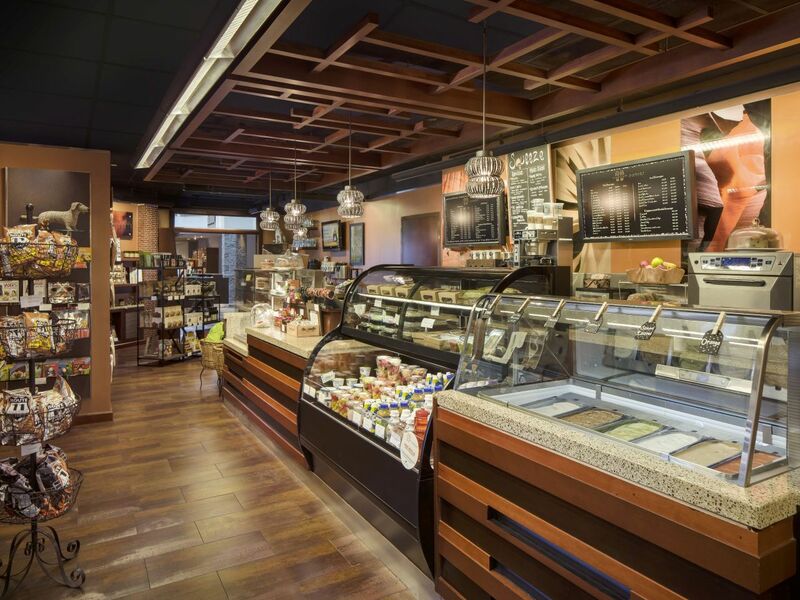 H2Oasis offers a wide variety of lunchtime favorites, along with novel, “can’t resist” retail. 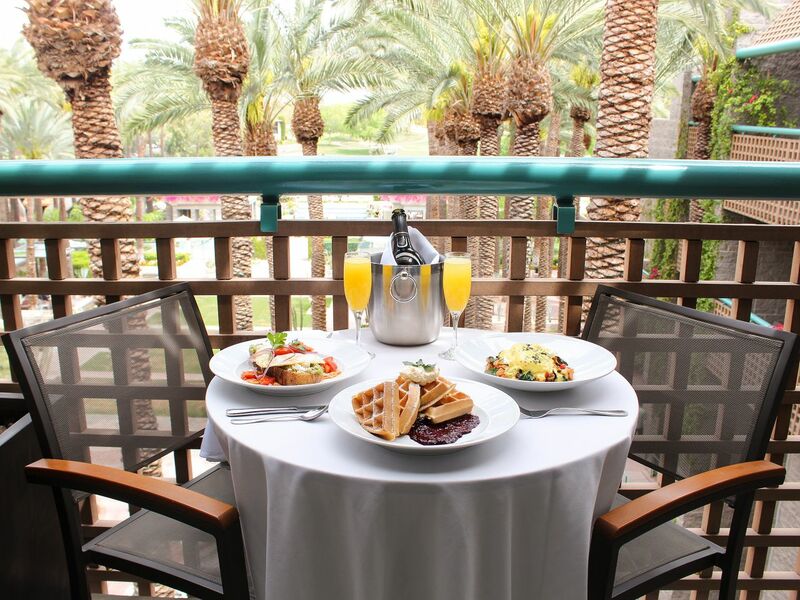 Choose from our exciting full menu selection whether you prefer a leisurely breakfast in your Scottsdale hotel room, lunch on your balcony, a romantic dinner for two or a late night snack; our personable staff will ensure everything is just as you wish. Allow our team to assist you in planning a gathering in your Scottsdale hotel suite or casita. From casual cocktails and hors d'oeuvres to a full, sit-down meal, let us delight your guests with creative options and attentive service.